Holly Dowell, Nonprofit Management student here at Milano and Research Communications Fellow at the International Rescue Committee recently traveled to Tanzania. The following is an excerpt from Holly’s article. Read all about her experience here. 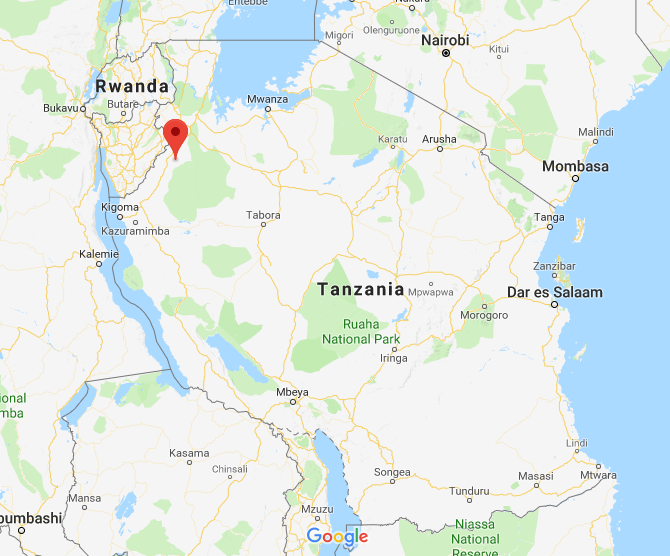 This past February, I had the opportunity to go on my first field visit, accompanying the IRC’s Research, Evaluation, and Learning (REL) and Airbel Center teams to the Mtendeli refugee camp outside Kibondo, Tanzania, where 45,000 Burundian refugees currently reside. We flew first into Dar es Salaam, then across the country to Kigoma, and then drove north to Kibondo. The pin marks the location of Mtendeli. During the first week, I was embedded with a team from the Airbel Center and their partners from Praekelt.org, working on prototypes for a new education program that leverages social-emotional learning (SEL) to encourage the success and wellbeing of primary school children in refugee and humanitarian settings. SEL — sometimes called soft skills or emotional intelligence — refers to skills that cultivate resilience and a person’s ability to understand and regulate their emotions, develop working memory, solve problems, set and achieve positive goals, show empathy for others, and establish positive relationships. We focused on a new type of training program for teachers to help educators learn and facilitate SEL activities in their classrooms. To develop grounding for our work, it was important to spend time with the clients who would actually be taking part in the training: the teachers. For the majority of our first day in Mtendeli, the team held conversational interviews with teachers from across the camp’s four schools. Being the first time the team had worked in this specific camp, we sought to understand the environment, from the structure of the school day to what motivates the teachers. With the help of translators — many of whom spoke 3–4 languages including Kirundi, Swahili, English, and French — we learned about the teachers’ routines, their victories and challenges in the classroom, and their hopes for their students. I was inspired by their commitment to their pupils and desire to be both effective teachers and responsible role models. In partnership with the Zolberg Institute on Migration and Mobility, the IRC selects master’s and doctoral scholars across The New School for Social Research to participate in our fellowship program. Fellows have the opportunity to imagine, test, and help implement new innovations as part of the IRC’s global research and innovation efforts. Learn more about the fellowship here.